iPhone 5 rumors can finally be put to rest. Apple today sent out press invites to attend what is most likely the launch event of the famous and larger iPhone 5. The invite for the event has a 12 with a number 5 as a shadow, so no more iPhone 6 rumors. 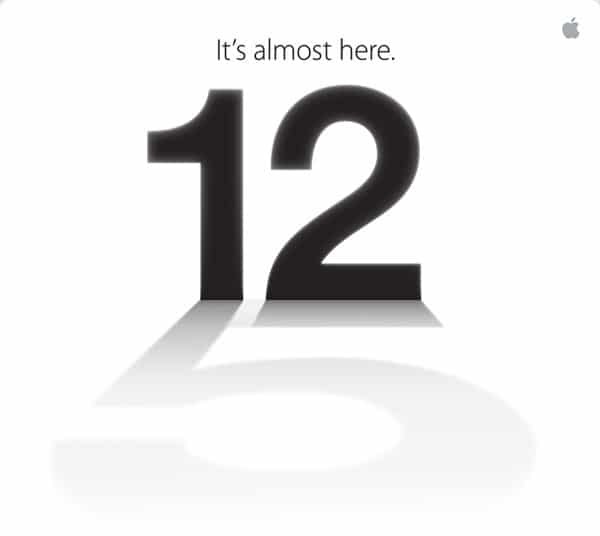 As we can see from the invitation, the event for the iPhone 5 will be held on September 12. In two weeks from now, we will finally see what the iPhone 5 looks like and know if the rumors and leaks were telling the truth.